Last month it was announced that Charley the cat, hero of the ‘Charley Says’ British public information films in the 1970s and 80s, would return to television screens voiced by comedian David Walliams. Originally only six shorts were produced, each around a minute long, and used an unnamed boy and his cat Charley to teach children about various daily dangers. In 1973 a clip was released entitled “Strangers,” which showed the little boy playing with Charley at the park when a featureless man approaches and asks the boy if he would like to see some puppies. Through some otherwise unintelligible noise the cat reminds the boy that his mother said not to go anywhere with strangers – information the boy then relays back to the man. The man leaves, and the boy goes home to tell his mother what happened and is rewarded for being good. 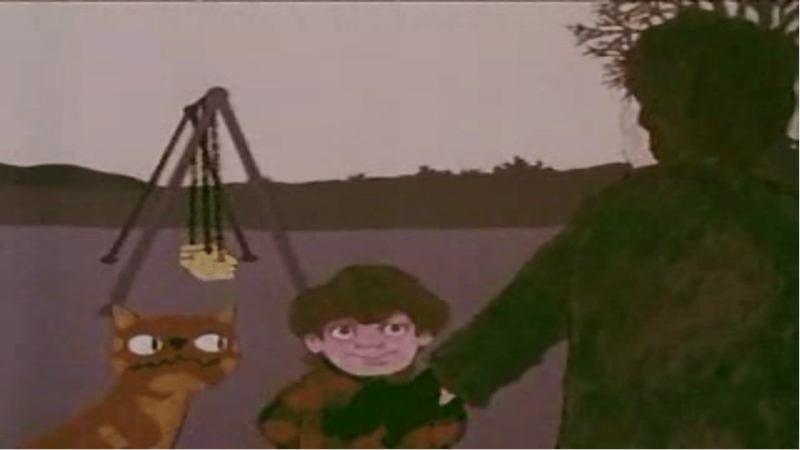 The National Archives’ description of the video states that ‘In 1973 the incomprehensible pronouncements from a ginger cat named Charley warned children against strangers, matches, water safety and other everyday perils.’ Clips like these often suggested that it was quite ordinary to expect that a man will approach a child in such a way, even if he should not. “Strangers” was one of a number of public service films produced in both Britain and America after the Second World War and shown in schools, cinemas and on television, which aimed to warn which aimed to warn younger, prepubescent children in particular, about “Stranger Danger”. This manner of “educating” the child about strangers (which were not always concerned with the sexual) was not particularly novel; fairy tales were of course rife with wolf-like predators looking to whisk off children at any moment. To adults this threat is almost inevitably a sexual one, yet this is never explicitly explained to the intended, younger child viewers. Rather, what they might gauge from the films produced between the 60s and 80s is that the bad person will be unknown, and will be male. Do you know what a dodo is? A dodo is an extinct bird. THAT means it isn’t ALIVE anymore. That’s the way THIS dodo’s going to be: Extinct… Well, who do you want to be like kids? A dumb dodo, or a really smart kid? Generally, the suggestion is that many of the scenarios end up with the child being murdered, but few openly discuss the potential for both psychological and physical damage caused by sexual abuse. Criticism arose then, and remains today, concerning “Stranger Danger” campaigns for many reasons. Articles have appeared for over ten years suggesting that the campaigns, in fact, deter children from playing outside. Many other critics argue that the externalisation and misrepresentation of the threat to children is most problematic because it encourages society to normalise the family as a haven from danger. This tends to ignore how any disruption in, or disintegration of, the family leaves children vulnerable to abuse. It also ignores overwhelming research and statistics into child sexual abuse. More often the threat begins in the home and, rather than ‘strangers’, abusers are in fact friends or family. 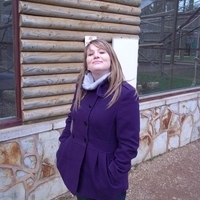 Jen Baker is a postgraduate research student at the University of Bristol. Her thesis Strange and Bitter Fruit: The Monstrous Child in Fiction and Culture, attempts to create a cultural genealogy of the origins and evolution of ‘the child’ as dark and queer cross-culturally. She is also Co Chief Editor of HARTS & Minds, an interdisciplinary journal for postgraduates of the Humanities and Arts.